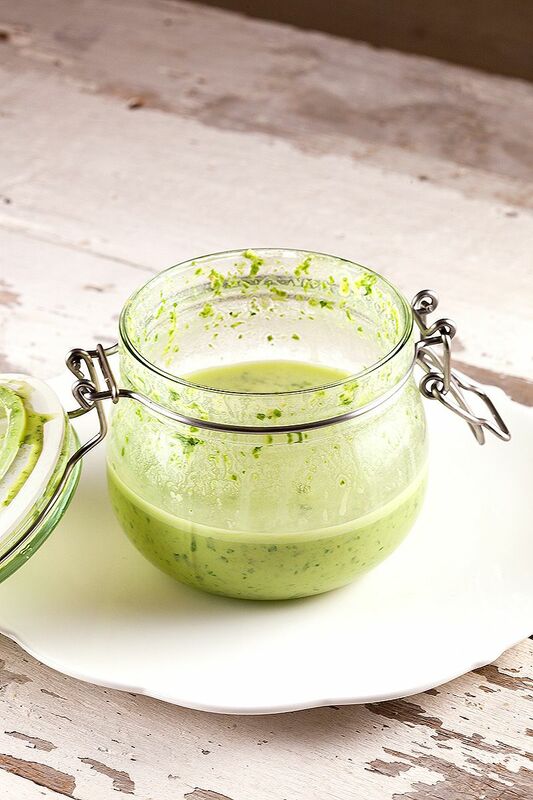 This green tahini dressing gets it color from fresh spinach leaves. 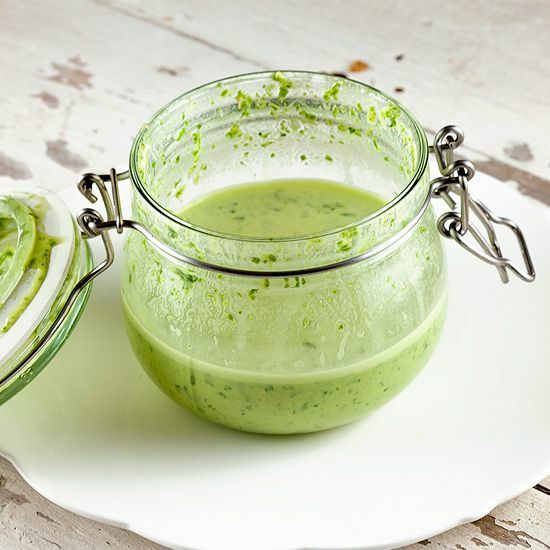 Perfect dressing for almost any kind of salad. SQUEEZE about 3 tablespoons worth of lemon juice from the lemon, add another lemon to this recipe if you need more juice. PEEL and roughly chop the garlic clove. 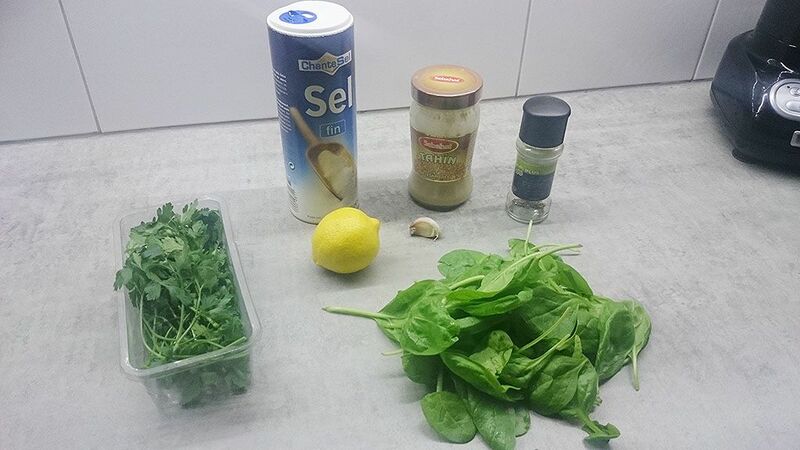 RINSE and pat-dry the fresh spinach leaves and parsley using the kitchen cloth or lettuce centrifuge. CUT off the stems using a small knife and a cutting board from the spinach, and set aside. BLEND all of the ingredients together using your blender or food processor, until smooth. Season with some black pepper. 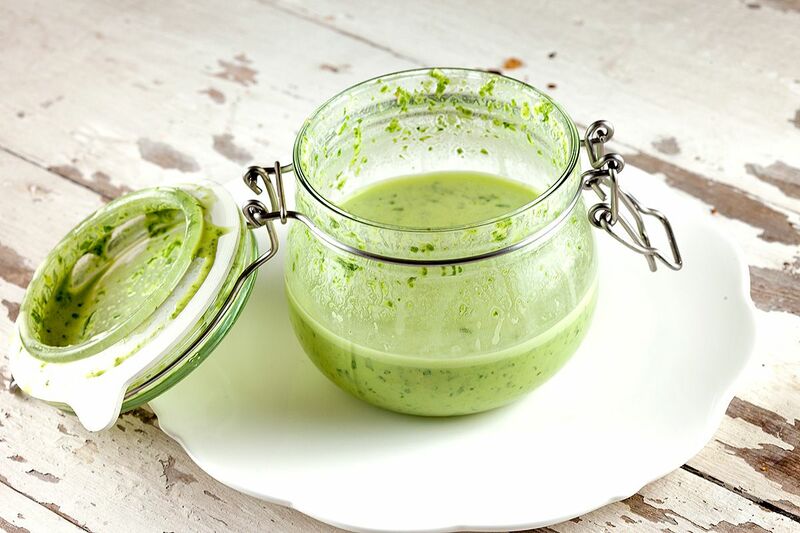 This green tahini salad dressing can be kept for up to 6 days while refrigerated. For pouring convenience, transfer the dressing to a dressing flask.